As mentioned above, the losses on Chipotle were definitely justified. In October, several people that had eaten at CMG restaurants became very sick and made their way to doctor’s offices. Soon, it was found that these people had E. coli. During the first breakout, more than 50 people became ill after eating at CMG restaurants in 9 different states. Shortly after the breakout started, it seemed as though it had come to an end. For a couple of weeks, we didn’t hear anything new with regard to E. coli being linked to Chipotle. However, the issue was far from over. In November, new cases of E. coli started to pop up among consumers that had eaten at Chipotle yet again. This time however, things were a bit different. First off, it only affected consumers in one state. Also, far more consumers became sick. In fact, the second breakout saw more than double the amount of cases as the first breakout. The final difference was that this time, CMG was serving up food with a completely different strain of E. coli. At this point, the stock sank in a big way as everyone, including the CFO at CMG believed that sales would fall substantially. Recently, we heard news surrounding the story from the United States Centers for Disease Control and Prevention. Shortly after the breakouts happened, the CDC stated that it had launched an investigation into the company with regard to the E. coli breakout. However, recently, the CDC released a statement saying that the breakout at Chipotle seemed to be over. While the CDC hadn’t found the root cause of the E. coli breakout, it announced that there had been no further cases of the illness after eating at CMG restaurants. Of course, following the announcement, the stock climbed… only to fall some more. Now the big question is, is now the time to invest. In my opinion, the answer is yes. In fact, I have a very bullish opinion of what we can expect to see from CMG moving forward. The reality is that the breakout is over. While it is going to take some time for Chipotle to completely recover from the issue, the breakout has brought the price of the stock down to an incredibly low and incredibly appealing level. Here’s the bottom line… Chipotle is a great restaurant, I and millions of others enjoy the food they offer. Sure, in the short term, consumers are going to be a bit wary about eating at CMG, but over time, the sentiment surrounding the company’s food will change. Soon enough, CMG will be back to serving up massive amounts of those delicious burritos, and those that have the intuition to see this coming and invest will be glad they did! 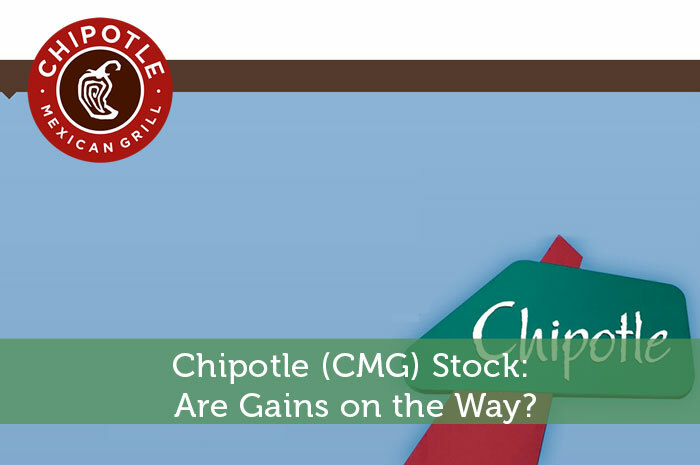 Chipotle (CMG) Stock: Are Gains on the Way?